Love . . . Learn . . . Launch. . .
Christ’s Great Commission (Matthew 28:18-20). Chapel Hill Christian School, in partnership with the home and the Church, exists to inspire students to love God and love one another, to reach their highest potential academically, spiritually, socially and physically, and to be launched into God’s designed future with the skills and spiritual maturity necessary to experience success. Our vision is to create an environment where their God-given uniqueness is celebrated, and they are taught to value a passionate commitment to academic excellence, Biblical worldview, and service for Christ. Chapel Hill Christian School, a private Christian elementary school of 493 students, offers a rock-solid foundation in the life of each child. Since its founding in 1966, CHCS has understood the relationship of a nurturing environment, traditional values, a quality academic program, and cultivation of Christ-like character. Along with the family and local church, the elementary school has the greatest influence in the life of a child. Thus, CHCS purposes to lead children to love the Lord with all their heart, soul, and mind. 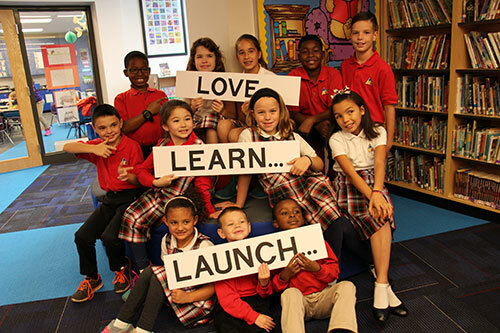 CHCS distinguishes itself from other Pre-School through 6th grade academic institutions by its rigorous and well-rounded curriculum, high academic standards, and integration of Biblical values in all of its programs. Students at CHCS typically score at least two years above the national average on Standardized Achievement Tests. In addition to a strong core curriculum, our technology, fine arts, physical education, foreign language, sports, and missions programs provide for the complete education of each child. Our Bible curriculum is complemented by weekly chapel services. Prayer is an integral part of the daily classroom routine. Life-long friendships, caring teachers, and a disciplined learning environment are keys to the success of CHCS. Many alumni now serve in full-time ministry. We invite you to be a part of the CHCS family! Our faculty are all born-again believers from various church backgrounds who are committed to Christian education. All our teachers are ACSI certified and state certified in their teaching fields. The average teacher tenure is twelve years at our school. The student body is made up of approximately 550 students. Two-thirds attend our North campus and one-third attend the South campus. Over 170 churches are represented in the CHCS school family. The school is governed by a school board that establishes policy for the school. Our Administrative Team is made up of the School Administrator and the building Principal at each campus. Our schools are accredited through the Association of Christian Schools International (ACSI). We believe that teaching academics is only a small part of the child’s total education. Spiritual and moral values, proper attitudes, respect for authority, the rights and feelings of others are considered of major importance in training children to become mature Christian leaders. Our source of authority is the inspired word of God as presented in the Old and New Testaments. All teaching must be evaluated in light of that written word.